(BBC): TripAdvisor has been ordered to rewrite some of its marketing claims by the UK's Advertising Standards Authority. The ruling follows complaints by hotels that the site had said that its holiday reviews could be "trusted". The ASA said it was concerned that consumers might be fooled by fraudulent posts since the entries could be made "without any form of verification". 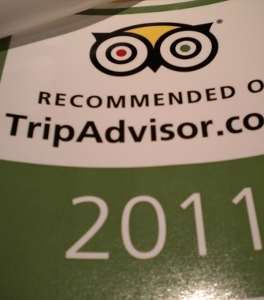 TripAdvisor described the ruling as a "highly technical view" of "copy that was used in a limited capacity". However, the watchdog said that the ruling served as a warning to all UK-focused sites with user-generated material. The ASA said that the US-based firm's site originally carried statements saying that it contained "reviews that you can trust" and that it had "more than 50 million honest travel reviews". It said that two hotels and the online reputation firm Kwikchex, which represented others, had complained that the claims were misleading since they could not be substantiated. The advertising body said it acknowledged that reviewers were asked to sign a declaration that their reviews were real and that they had no incentive or competitive interest with the places commented on.